Sounds like that's the video level - VR482 on the VDTB board adjusts that, and as long as that bit hasn't been bypassed that should fix it for you. I suspect the original adjustment expected a voltage dip, and didn't expect such a high quality output circuit. If you can get a Pioneer test disk in Europe easily enough, that will help you get the levels correct since you can follow along with the adjustments in chapter 1 of the SM. Very helpful happycube! Will give that a go (hopefully this weekend) and let you know. I don't think we can order the test discs direct here in GB but there is a US site, partsimple.com which seems to have all the Pioneer parts. Are these guys any good? I could buy the Test Disc in germany, no problem. Not from Pioneer directly, but from an authorized spare parts supplier. Also Dönberg should be able to supply it. There should be a Pioneer spare parts specialist in the UK. If everything fails, you can try ebay. If that fails too, I'd try importing from the states. So I know this topic is old but I'm also unhappy about the ntsc playback. Will this chip change my life? Can someone share experience in installation? 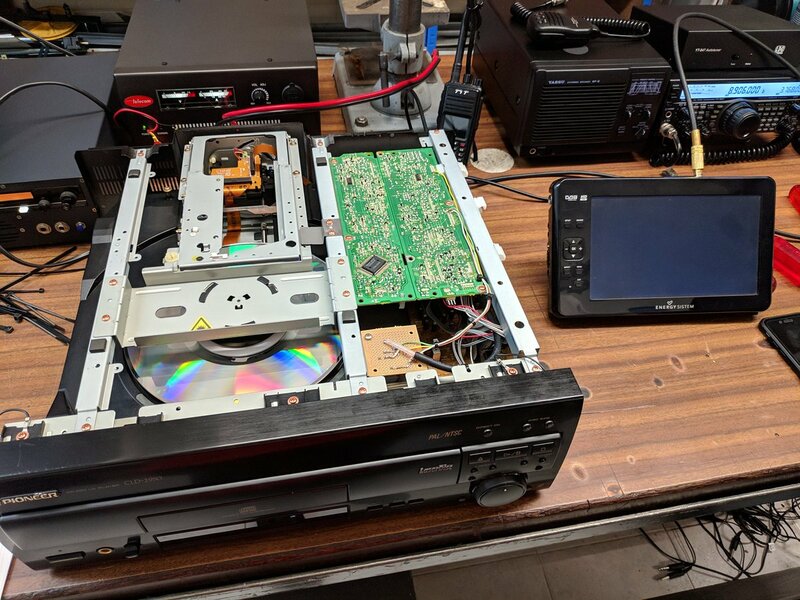 I had been looking for a way to improve the video quality of my 2950, and had originally found the same YouTube video that jamski68 posted earlier, but was unable to find any other information until I found this forum post a few days ago. 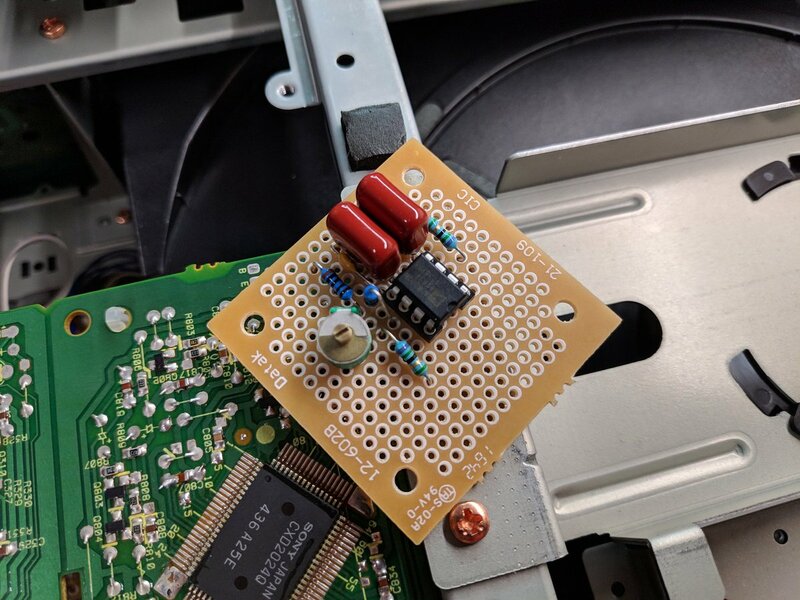 @jamski68, would you be willing to share the details on required parts and how to get this connected to the player? I would greatly appreciate any help you could give! You take the video signal from pin 7 of J602 on the VDTB assy (see pic), you'll then want to cut or de-solder that lead of the ribbon cable that goes to the PALB / YCNR board as we are bypassing that (you could actually install a switch at this point if you wanted to switch back between stock and the mod) . 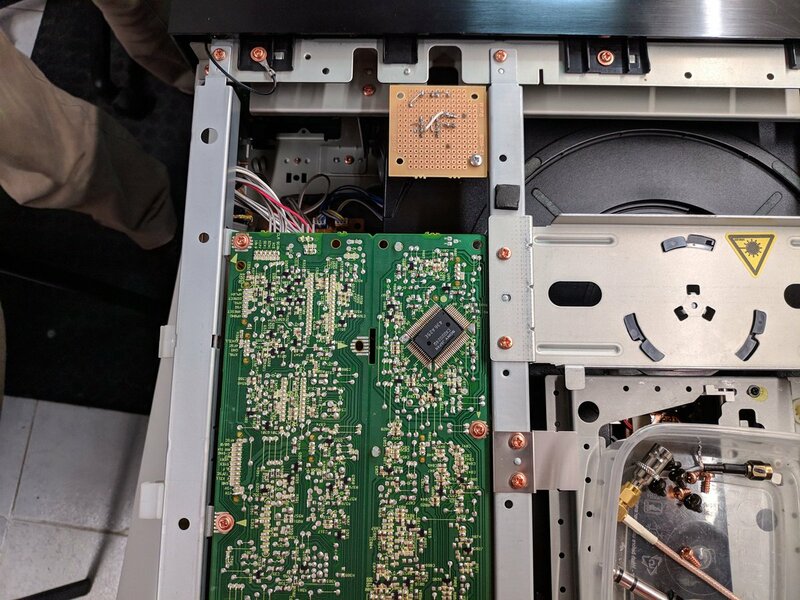 You'll also want to de-solder the stock RCA socket and replace it with a good quality one to connect up to your new line driver, I would also terminate the the output close to the chip itself rather than on the socket to reduce change of oscillations. Let me know if you want any more info! Many thanks!! I'll show this to my brother and see if he needs anything else. No need to configure anything with an oscillator or other equipment to make sure video and audio are in sync? I would be very interested in seeing before and after screenshots of this mod to compare and decide if this is worth the effort. If my brother and I manage to get this done, I should be able to provide a before and after capture. Hey all, just a quick update. I've finally received all the required parts for the mod. I had also been talking to one of the maintenance engineers at my office about this mod and he said he would be happy to build it for me. I'll be meeting with him tomorrow, after work, to get it done. I'll try to post some pics of the mod and the work he does. Then once I've calibrated the video, I'll post some comparisons. Unfortunately, he couldn't make it today. Supposedly we'll meet on Wednesday instead. 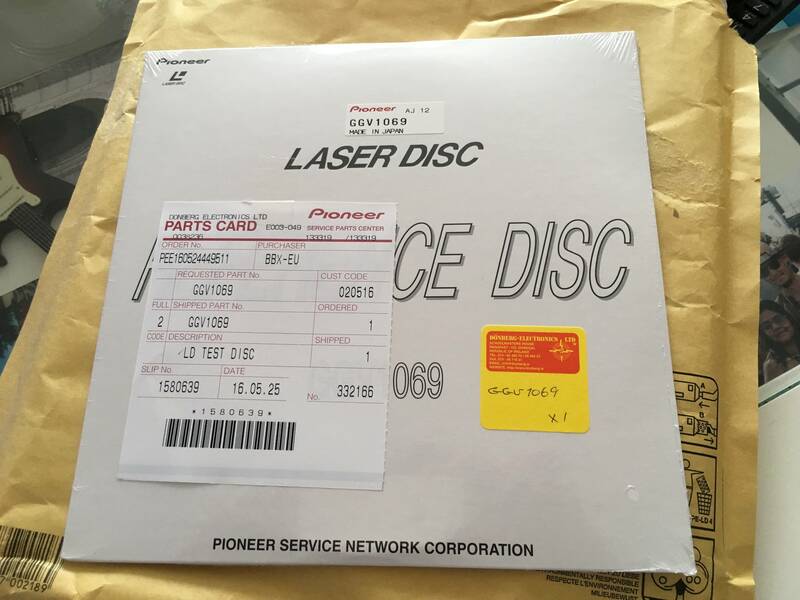 About the laser disc test disc GGV1069, is it still available from Donberg ? And about the service remote, GGF1067, what are your advices to have a good replica ? I can't speak for the remote, but I did recently buy the disc from Donberg. I received it a few weeks ago. They may still have stock. By the time we finished, it was already 1AM, so we didn't really have time to test much. When I got home, I tested it and believe I experienced the same issue as jamski68, due to the resistor on the input. The video was very dark. My colleague had told me that he wanted to follow the original diagram and that if we experienced the dark video, he would simply clip off the resistor. With luck, we'll be able to meet again tonight to clip off the resistor. We should then have ample time to properly test out and tweak things. I'll then get back to you guys with another update.